A non-profit corporation dedicated to providing “Christmas With Dignity” to children from families in crisis. Applications also available at Family Pathways Food Shelves & Forest Lake Walmart. DONATIONS welcome! Drop off site at North Branch Chamber office. Gifts for children ages 1-18, plus hats & mittens. Better Business Bureau is a nonprofit organization that champions an ethical marketplace where buyers and sellers can trust each other. Founded in 1912, Better Business Bureau of Minnesota and North Dakota is proud to be known as “the first BBB” in the world! BBB is supported by civic-minded business people who champion ethical relationships between businesses and the public through voluntary self-regulation. Together, with more than 6,500 local BBB Accredited Businesses, representing a variety of industries, professions, and company sizes, we continue our mission of advancing marketplace trust by offering a variety of free programs and services for both businesses and consumers. Chartered by the North Branch Rotary Club. Organized to promote scouting for area youth grades 1 – 12. Developing character through personal growth and community involvement. 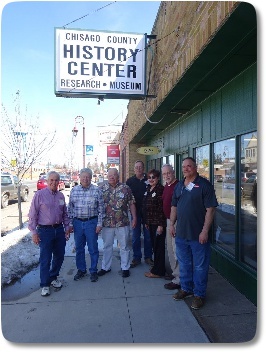 The Chisago County Historical Society has been collecting and sharing stories and artifacts about the county, located in the east-central region of Minnesota, for more than 74 years. Our mission: To discover, preserve, and share the history and heritage of Chisago County, Minnesota. Citizens Supporting Our Armed Forces (CSOAF) is a 100% Volunteer 501(c)3 non-profit organization supporting Veterans, Deployed or Active Military (any branch) and their Families. Our goal is to send needed items to our troops as often and to as many as possible; all our resources come from grants, donations and fundraising. Together WE CAN bring a little bit of home to our Troops. Providing a safety-net of varied services to keep our communities safe, sound, and healthful in East Central Minnesota and Western WI. Lakes and Pines helps to build prosperous communities by serving local families and individuals in their pursuit of self-reliance. We provide anti-poverty programs to help low-income individuals and families achieve their goals. Lakes Center for Youth & Families (formerly Lakes Area Youth Service Bureau ) has been providing support and guidance to youth and their families since 1976. We serve all of Chisago County and the Forest Lake School District School in Washington/ Anoka counties. Youth and Family Counseling: Counselors work with a variety of issues including relationship concerns, school performance,resoning skills, depression, parenting situations, anger issues, divorce, chemical use, ADHD and many others. Our staff focus on finding solutions to the problems that affect people’s lives and giving them the necessary tools and support to be able to make positive changes in their own lives. “WE SERVE BETTER TOGETHER” The Lion’s Club of North Branch was chartered in 1973. The Lion’s Club has been very active in supporting a wide range of service projects. The purpose of these projects is to make the North Branch area and the world community a better place in which to live. New members Welcome! The North Branch Area Education Foundation is a non-profit 501c3 charitable organization dedicated to supporting and enhancing the excellence of North Branch area children and their educational experience. Tax-deductible donations are used for grants to educators who have extraordinary ideas for excellence in the learning experience. In 2017, over $27,000 in grants were awarded. The NBAEF raises money through various events, including The Perfect 10 event, held each October.